A Stablecoin is a cryptocurrency/token that is meant to hold a stable value against a targeted price by being pegged to another stable asset or basket of assets. Due to its price stability, it is, therefore, suitable as a medium of exchange, a unit of account and store of value. Stablecoin could be the key to crypto mass adoption since the volatility of cryptocurrencies has been a deterrent to their widespread adoption as a method of payment. A Stablecoin that is fully or mainly collateralized by a currency that a government has declared to be legal tender, or collateralized by multiple fiat currencies. A Stablecoin which uses algorithmic strategies to guarantee the stability of its price. The majority of them are not backed by any real asset, while the rest are partially or temporarily collateralized by other assets. A Stablecoin which is fully or mainly collateralized by a cryptocurrency or a basket of cryptocurrencies. A Stablecoin that is fully or mainly collateralized by a single or multiple real-world assets other than fiat currencies. A Stablecoin or a stable coin network that has a combination of strategies/collaterals for price stability. There is no single stand-alone collateral that highlights these Stablecoins. This overview may not be fully exhaustive and does not assess the viability of all of the above-mentioned projects, nor the legitimacy of their teams. Readers should conduct their own due diligence before using or investing in any of the listed Stablecoins. The size of a Stablecoin’s logo depends on the value of the network. For launched projects, the value of the Stablecoin is determined by the market cap. For pre-launch projects, the total amount raised is considered a proxy of the intrinsic network value. The logo sizes are not proportional to the current market cap of the coin/token. In general, however, larger logos indicate a higher market cap. We emphasized that the coins are categorized by the collateral, not the peg. For example, bitUSD is pegged to USD, but it is collateralized by on-chain assets. Therefore it is considered a crypto-backed Stablecoin. 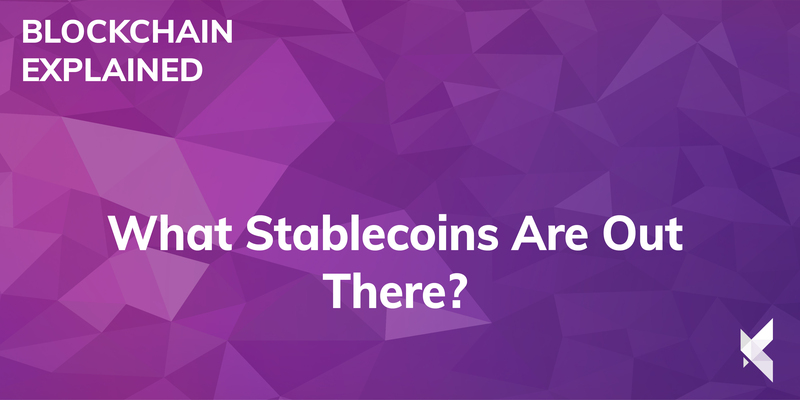 For some Stablecoins, it is ambiguous as to which category they belong to as they have multiple collateral sources and a combination of built-in price regulation mechanisms. However, in most cases, the price stability is maintained mainly by one of the collaterals. In this case, we categorize the Stablecoin based on this collateral. For instance, X8currency is backed both by fiat and gold, but fiat accounts for the majority of their collaterals, so this Stablecoin is categorized as “fiat-backed”. Kintaro Capital is a collective investment scheme soon to be established under the laws of Malta as an investment company with variable share capital. At Kintaro we are true believers in the long-term value of blockchain protocols and crypto-assets. Our goal is to offer an alternative to fiat based financial instruments, leveraging our crypto-economic experience, our research and data analytics expertise to yield higher returns, while reducing and managing the inherent firm-specific and market risk.